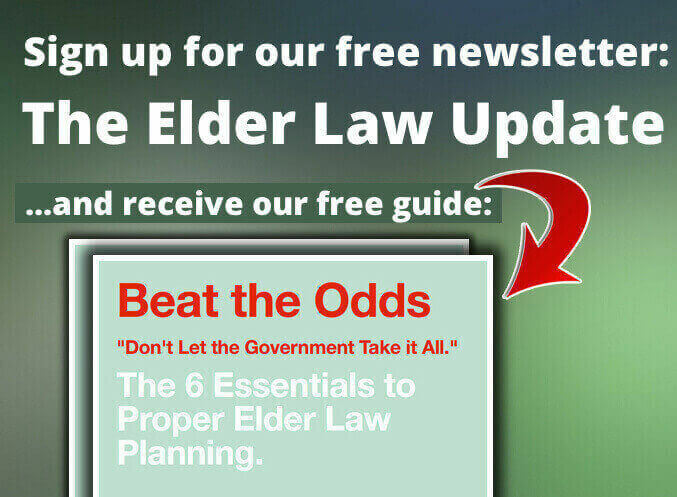 Home » Blog » Articles » Elder Law Report: Should your real estate agent be senior certified? I’m Greg McIntyre of McIntyre Elder Law helping seniors protect their assets and legacies. I’m here with Dave Edwards who is a Keller Williams real estate agent and a senior real estate specialist. Dave, tell us about your background? You weren’t always a real estate agent. You worked for IBM for a time, right? ‘Yes, I came out of the corporate world. I spent many years in technology and I have been a manager to real estate agents. My observation of realtors is the best realtors are those who have life experiences, because they’re the ones who can relate to the issues a client is going through. So as a result, I looked at my background in the corporate world and we were joking earlier about what is proper dress in this world? There is an impression of what IBM is. If you were to go into IBM today that impression would be blown away. When you get into the world of real estate it’s a more casual endeavor and so using what I’ve learned from the corporate world, in terms of formality and negotiation on behalf of clients, really has lent itself well in terms of when we do a job, we do it to the best of our ability and do it professionally. That is the take away from my background. I would say, the younger a person is, the less customer service they expect. With seniors and their families especially, they expect great customer service. I remember going into Belks in Shelby, NC with my mother, the salespeople in the store knew my mother by name. They knew my dad too, so, he would go in there at Christmas. They knew my mom’s size and her tastes and would help him pick things out for her for Christmas. That’s how customer service used to be. I believe that kind of quality is coming back around. I miss great customer service, but you rarely find it anymore. I think that’s what seniors expect and that’s the kind of customer service you bring, because you know seniors and that market. ‘My job is to be familiar with communities, but my business is about people. I may get my business to know and be familiar with communities so I can help clients make choices, but ultimately it’s about the people and about asking questions and listening, because what’s good for one senior, may not be good for another. There’s no one shoe that fits all. Does it have sidewalks for instance? As an elder law attorney I’ve worked with real estate agents, bankers, financial planners, funeral home directors, I make these connections to benefit my clients. I imagine having a senior real estate specialist working with a senior to help sell their home is a huge bonus. You have all these connections. Someone might be selling a larger home and moving to a senior community and you can help with the transition. ‘Think of it this way, we spend a life time moving from one house to the next, through raising a family in that house perhaps and then we’re faced, maybe for the first time with making a transition to a smaller house. We’ve accumulated all these belongings that for many have strong emotional attachments. It’s hard to let go of that. So, a service, such as a transitional service helps people to decide what to do. There is a logical approach that people can take and there are services that cut to the quick about how you do that in pragmatic fashion and cuts through the emotion of doing so. There are issues like legal issues where you come in to play. If for example it’s a home for the long term, what about family? Do I want it in a trust, do I want them on the deed? Those are issues you can sort out. As a connector, If I’m asking the right questions, these questions and concerns will rise to the top and then they can make those connections. If you’re moving to this area, you are not going to know Greg McIntyre or the transition team, or a financial planner, or a mortgage lender, or a reverse mortgage lender. You want to know, is that the right option? These are some of the questions that need to be asked and answered. That’s what my job is as a connector. You not only sell the house and help with the transition during that time, you also connect them with these other services associated with that transition. How important is that? Because there are all sorts of things to consider when buying a home, especially with ageing in place in mind, such as heights of counter tops for wheelchair accessibility, or roll in showers if needed. ‘I’ve recently looked at some stats of communities that identify themselves in the MLS as 55 plus in the Charlotte region. We have 35 communities. Now, we have an average of 50 people moving each day to the Mecklenburg County. That’s the net migration into that area. That being the case you can imagine families that fall in that senior market. That’s a lot of people and demand for senior housing. That’s why rentals are high and why inventory is as low as it’s been in a long time. When you look specifically at housing that’s appropriate for those who classify themselves as seniors, you’re looking at a small amount of inventory. Now, if I go in, assuming one of the criteria is a master bedroom downstairs, that will often take us outside the active adult community. That’s okay, a house is not a home until it meets the needs of those clients. So, who is your perfect client?